Model WV450X explosion proof single flash strobe signal provides three high intensity light outputs utilizing a 10,000 hour rated strobe tube. The housing is manufactured from GRP (glass-reinforced polyester) to reduce weight, improve corrosion resistance and eliminate regular inspection of the flame path. Devices include 316 stainless steel hardware, mounting bracket and dome guard. The WV450X come standard with metric cable entries in both the “d” explosion proof version and the “de” increase safety terminal chamber with 3x M20 entries. 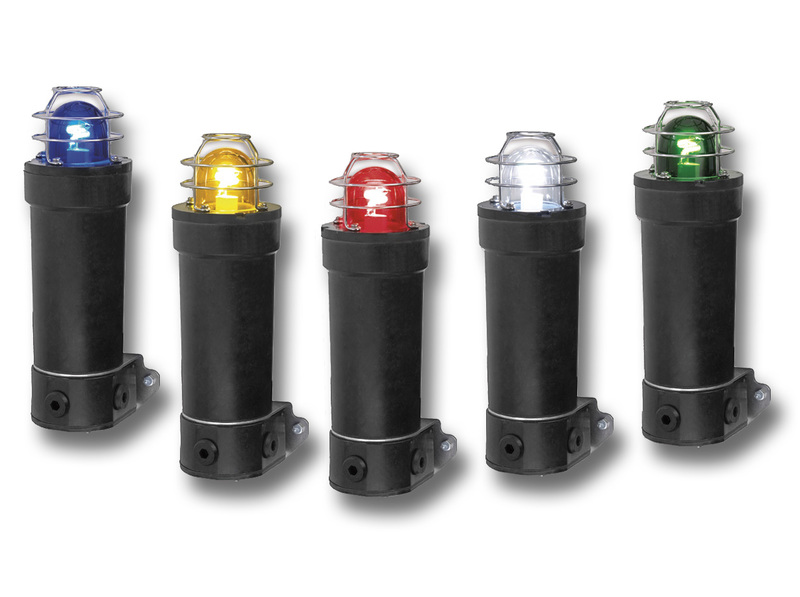 The increase safety design allows for quick field termination and pass-through wiring. The WV450X is ideal for the demands of offshore marine and land based heavy industrial when ATEC & IECEx certification are required.